This is model No. 2011 and was made in Germany by Conrad Models. Stoc k No. 2940. P&H 2800 Shovel. Made By : Conrad. Condition: Near Mint. P&H 2800 Shovel - "INTERCOR". Made By : Conrad. Condition: Very Good. Conrad model of the 1.87 scale Liebherr HC-K fast erecting crane, that is free standing after being weighted. This is the first static crane that I have found to be very easy to assemble and very stable when erected. Rare Conrad 2027 Wilbert WT200 eTronic Flat Top Saddle Jib Tower Crane in 1/87 Scale. Presented in striking Wilbert Red livery. Very Rare Conrad 2012/1 Zeppelin ZBK100 Flat Top Saddle Jib Tower Crane in 1/87 Scale. Presented in striking Black & Yellow livery. Rare Conrad 2016 BKT Luffing Jib Tower Crane in 1/87 Scale. Presented in striking Black & Yellow livery. Presented in striking White & Red livery. Conrad Gescha 200 Condecta Fast Erecting Tower Crane presented in Blue & Silver livery. This item is New,Mint & Boxed but is missing the black plastic trolley and hook moulding. ZZ Conrad 2029 Potain Hup 32-27 Fast Erecting Crane 1:87 NEW in ovp currently. Fahrzeugmarke potain. Marke conrad. Scale and life-like clay model for adult collectors. Not suitable for children under 14 years. Presented in striking Black & Yellow livery. 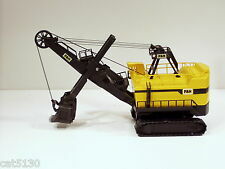 Rare Conrad 2020/1 Liebherr EC-H Saddle Jib Tower Crane in 1/87 Scale. Presented in the Liebherr Yellow livery with White Cab. Box tower crane. Fahrzeugmarke terex. Marke Conrad. Crane height complete 60 cm. there they find another series models at the Best prices. Besonderheit mit OVP. Maßstab 1:87. EAN Nicht zutreffend. Fahrzeugmarke potain. Serie 389 mdt. Marke conrad. Besonderheit mit OVP. Maßstab 1:87. Material Kunststoff. Conrad 2032 Wolff Wolffkran 7008 luffing crane 1:87 new in orig. Fahrzeugmarke wolffkran. Model Wippkran. Marke Conrad. Scale and life-like clay model for adult collectors. Not suitable for children under 14 years. Rare Conrad 2020/1 Liebherr EC-H Saddle Jib Tower Crane in 1/87 Scale. Presented in the Liebherr Yellow livery with Yellow Cab. Conrad 2033 Liebherr crane model Trumdrehkran 1:87 EC-B 370 1:87 H0 NEW OVP. Fahrzeugmarke Liebherr. Marke conrad. Serie ec-b 370. Scale and authentic look dress model for adult collectors. Not suitable for children under 14 years of age. Fahrzeugmarke wolffkran. Serie 700B. Model Fly JIb. Marke Conrad. there they find another series models at the Best prices. Scale and life-like clay model for adult collectors. Not suitable for children under 14 years.